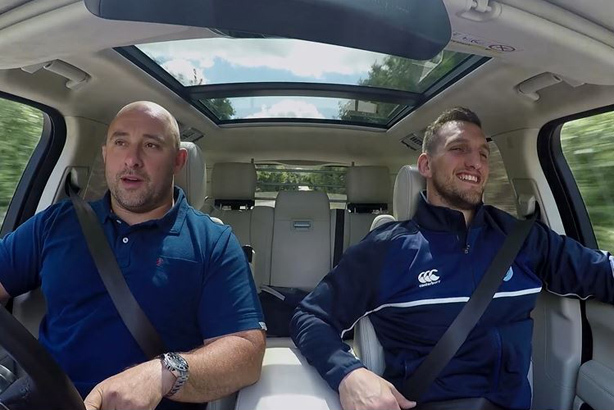 Rugby pro turned pundit and Land Rover ambassador David Flatman is joined by Welsh captain Sam Warburton for the latest episode of its Open Range series. With a tip of the hat to James Corden’s wildly popular Carpool Karaoke format, the duo discuss Warburton’s journey to date and definitive moments along the way. The previous two instalments featured Tom Youngs, Henry Slade and Jack Nowell. The video was produced by Fast Track and its in-house content team; both part of CSM Sport and Entertainment. Land Rover is one of the agency's longest-running clients, with Fast Track working on all aspects of the brand's rugby and equestrian sponsorships. It marks the latest branded content push from Land Rover, which has a sponsorship portfolio including Premiership Rugby, Welsh regional side Cardiff Blues and Premiership Rugby team Wasps. It regularly incorporates branded content across multiple platforms, with the brand making much use of video on its social media accounts, spanning campaign ads to event highlights. For its 2016 #FeelWimbledon campaign, Jaguar signed up Andy Murray as an ambassador and commissioned digital specialists Mindshare and Hammerhead to develop a 360 degree virtual reality tour of Centre Court, through the eyes of the 2016 champion. Which firms have the best reputation among the UK public, and which are falling from grace?